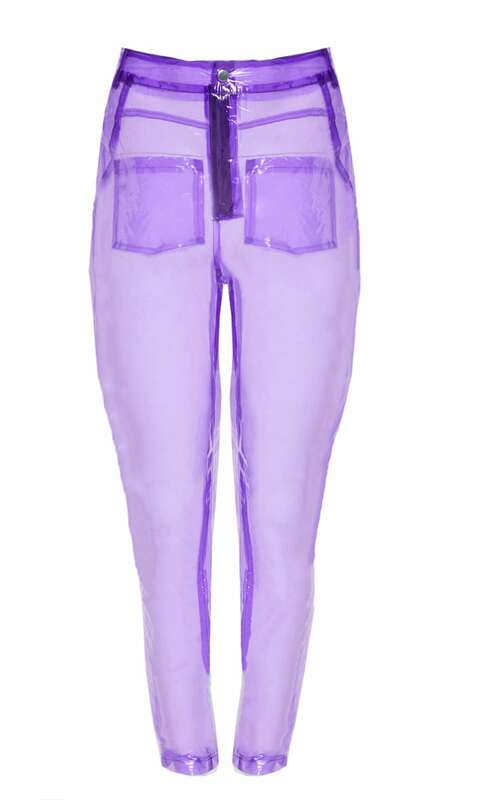 Make a statement this festival season with these trousers. Featuring a lilac transparent material with a straight leg design, style with the matching crop jacket and wear over a bralet and knickers. Complete the look with chunky boots and statement accessories.